Facial recognition is one of the fastest developments in technology today. On one hand it’s being used across social media to recommend people to tag in photos. On the other hand it’s being used by law enforcement to help identify law breakers, something both welcomed and feared by many. Privacy is obviously the biggest hindrance to seeing facial recognition develop into a welcomed tool. Now that we’ve waded through the primitive stages of facial recognition other industries are starting to see the value in a photo. With more than 75 million photos a day uploaded to just Instagram there’s more than enough photos out there for amazing things to happen with facial recognition. While many people whine about advertising, facial recognition could actually make advertising less overt and more fun. Cosmetic giant L’Oreal revealed earlier this month that they’ve teamed up with interactive firm GumGum for target marketing through photographs with the company’s content partners. 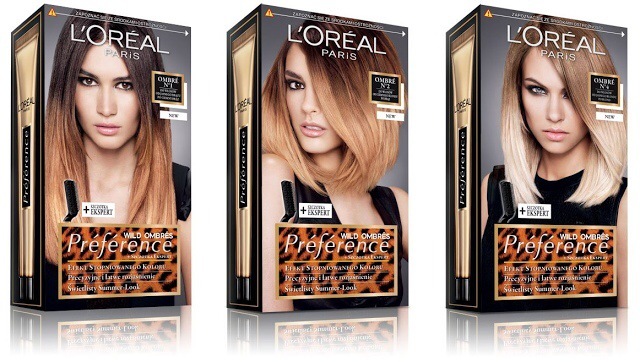 In this unique partnership L’Oreal uses GumGums technology to color match the hair color of photo subjects across a partner content network. Now these photos are photos that belong to the content partners like major magazine websites. L’Oreal is using this advertising technology on partner sites belonging to Tribune, The New York Times and EW Scripps among others. While this is one kind of in image advertising campaign it’s clear that we are almost to a point where L’Oreal or other cosmetic companies could market to someone based on the image in their selfie. As photo and image recognition gets better it leads to way better options for advertising. Regardless of whether you’re one of those people that whines about advertising or not, it’s been found that if people actually see advertising for things they want or need it’s effective. This kind of image recognition, once available across the massive social networks including Facebook (which owns Instagram) marketers ranging from cosmetic companies to eyewear to clothiers could tap into the biggest pool of potential customers in the world. There are plenty of websites that allow people to upload photos of themselves and give themselves virtual makeovers. Those sites require a concentrated effort by the user to upload the photo and then of course the marketing mechanism comes into play. But now with in image advertising and networks like Instagram the user wouldn’t even have to think about it. Advertisers could offer targeted couponing based on the photo. The opportunity in this space is huge, and now we see why Facebook paid $1 billion dollars for Instagram.